Designed and tooled from the ground up, the Retrosound RetroMod series of speakers meet the demand of today's high performance amplifiers while maintaining factory dimensions for original location mounting and are compatible with all digital music sources. The "N" Series features ultra thin 1.77" mounting profiles to fit in virtually any installation application. 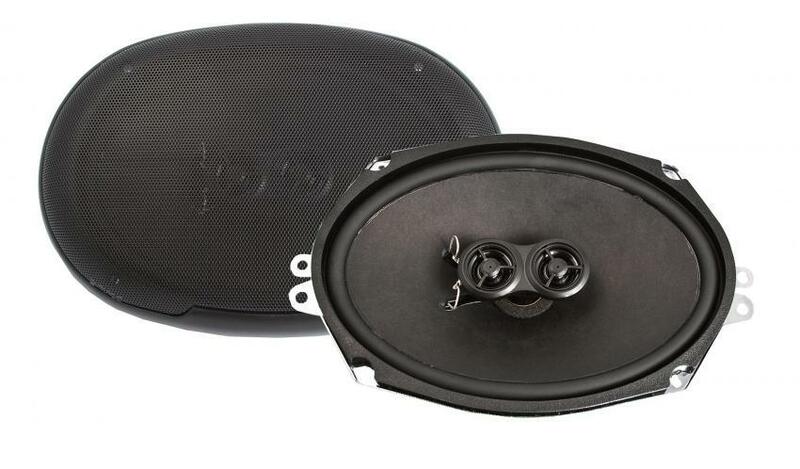 These speakers feature neodymium magnet structures which are 5 times more powerful than standard speaker magnets, allowing for a substantial reduction in mounting depth and feature enhanced power handling and heat dissipation characteristics.